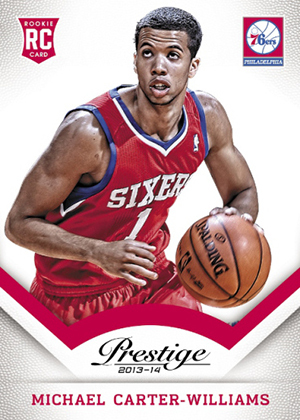 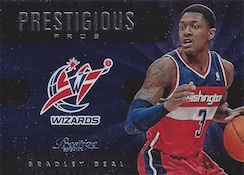 2013-14 Panini Prestige Basketball is an early-season release that focuses largely on set building but with a slightly more premium feel than NBA Hoops. 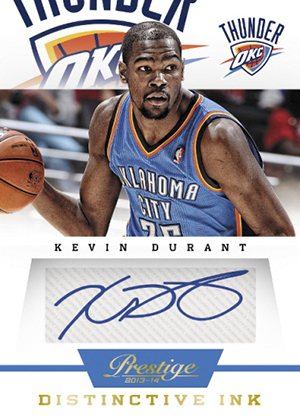 Every box has a pair of autographs, two memorabilia cards and a ton of additional inserts -- 20 to be exact. The base set comes with 200 cards. 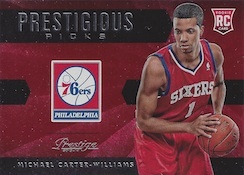 It's highlighted by some of the first rookie cards from the 2013 draft class. 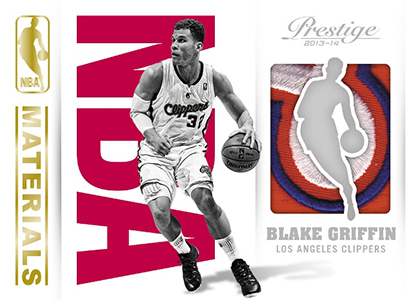 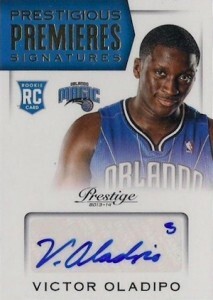 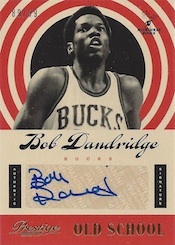 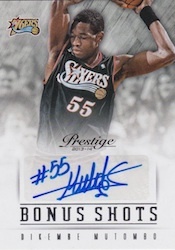 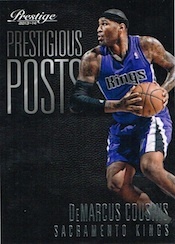 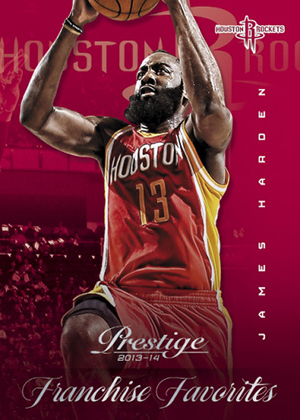 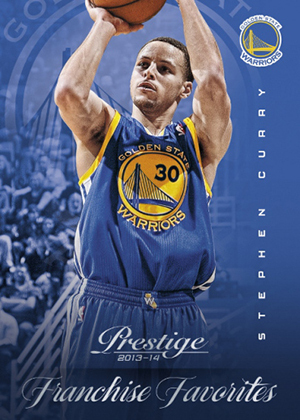 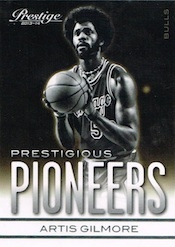 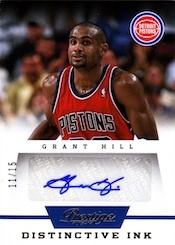 Autographs and memorabilia hits come from eight different sets in 2013-14 Panini Prestige Basketball. 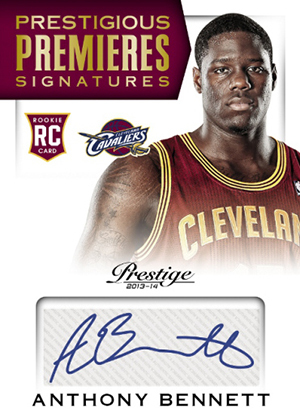 Prestigious Premieres Signatures offer rookie ink. 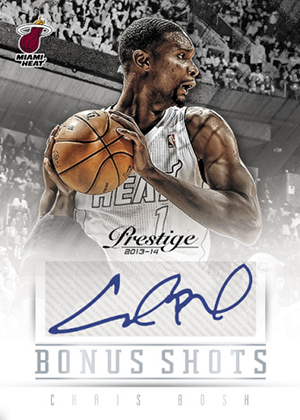 Other autographs include Stars of the NBA, Bonus Shots and Distinctive Ink. 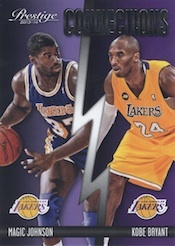 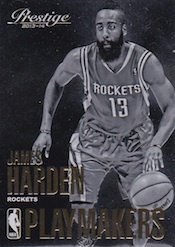 NBA Materials are among the memorabilia card offerings. 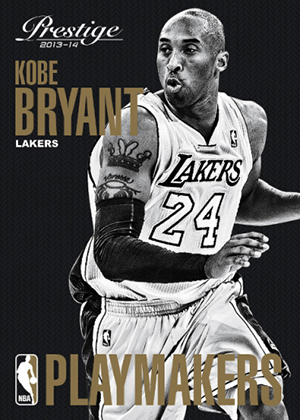 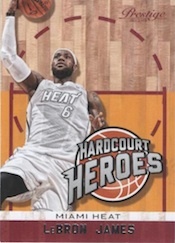 Franchise Favorites is a basic insert that looks at the best players from each team. 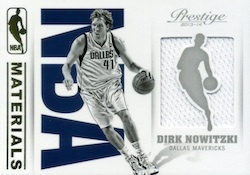 Playmakers is a hobby-only case hit that's driven by scarcity rather than other enhancements like autographs and relics. Featuring 200 cards. 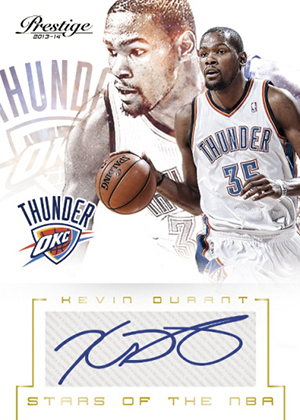 Shop for complete sets on eBay. 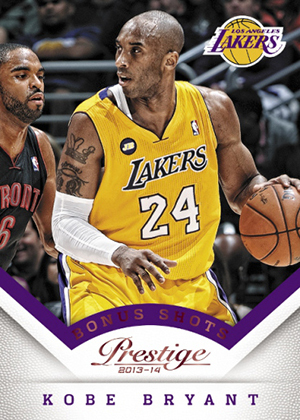 if Hoops is level 1, Prestige is level 2.
f) hits are average, but you might land a blue chip.